You can be selected client side framework as your preference. Angular and Ember is full option frameworks. If you are a less experienced or finding for lightweight frameworks React or Knockout would be better preferences. You can use any source editor as your preference. If you are mostly coupled with Visual studio you may need to install ‘node.js’ on it. If you free to develop with any development environment; VS code, Sublime, Brackets, Notepad++ ..etc are options. This will be first step towards developing on SharePoint Framework. You will use npm to manage the packages and Yoeman for generate SharePoint framework. After execution of above code your can select default selections and also able to provide customized values if required. You can be used either Powershell or Cmder. But I prefer Cmder since it gives better experience if your are a windows user. But for other OS users, you can pick as you wish. Note: Now, your source template is generated(scaffolded) and can be startup editing with any favorite code editor such as VS, VS code, Sublime, NotePad++ or any. With the rise of cloud platform and cloud model (office 365), app model came into conversation with addressing the some of the drawbacks which was with SharePoint custom solutions. Even though there are many disadvantages with the App model solution designers go to this model with the requirement. Since all the models which were before running inside the SharePoint, there is high couple and dependencies which can be accounted as a disadvantages. Running custom codes as an administrator to perform some task which signed in or other users could not perform. This achieved by using SPSecurity.RunWithElevatedPriviledges. Set of site collections configured and administered as a set (bundle). Business users who access the tenancy knows a tenants. When O365 creates new tenancy, it created new administrative site collection with can be accessibly by the tenant administrator. 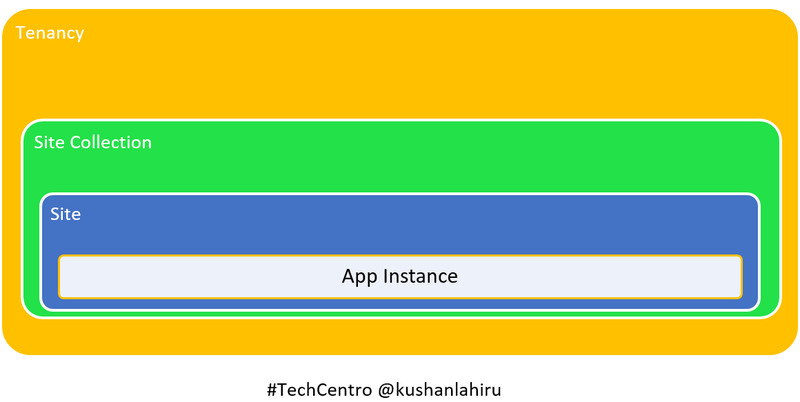 When deploying apps into SharePoint on premise it takes “default tenancy” where tenancy concept that much not important. It contains configuration data for Apps which installed, configured, permissions and licensing of SharePoint apps. This can be configured manually in the ‘Central Administration’ and it’s already configured in the Office 365. Contains configuration data of every site tenancy and includes those in its own database. This need to be configured using PowerShell and pre-configured in the Office 365. Launched and installed in the same scope of SharePoint site. 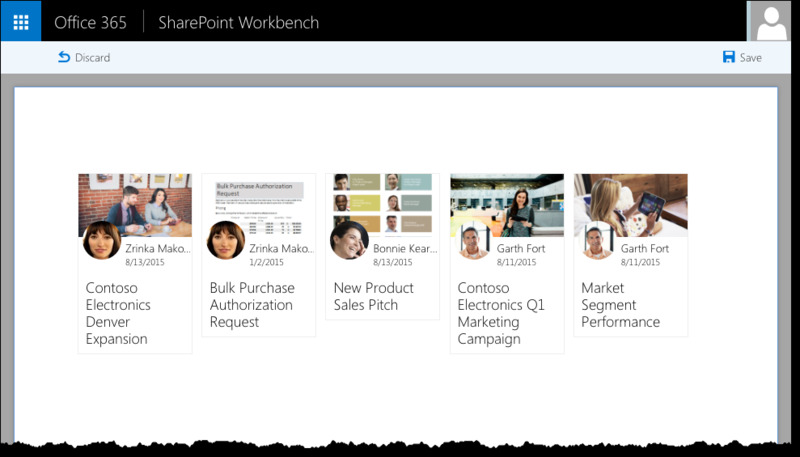 App installed in special type of SharePoint site known as “app catalog”. So that users can use the app in site as they prefer. This scope is useful when users in the tenancy can pick the app and use in their site as prefer. Permission handling on app still with the administrator. Server side – can be write with language like C# and this need to execute code outside the SharePoint host environment. This mostly become a cloud hosted app. In later post I will be further talking about hosting models, configuration files within the apps, packaging and etc.